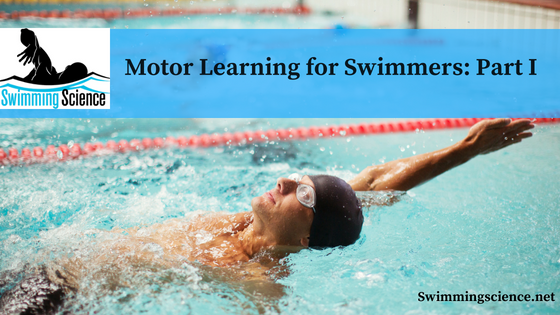 Learn the motor learning terminology for the best swimming practice. 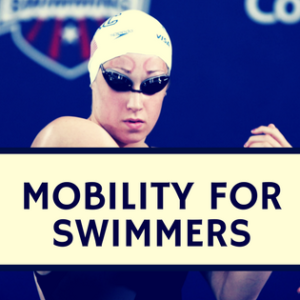 Motor learning for swimmers is an expanding form of training. 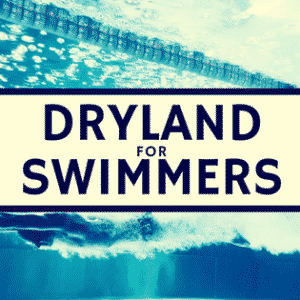 This is most popularized by Dr. Rushall’s work and his Swimming Science Bulletin: SWIMMING ENERGY TRAINING IN THE 21ST CENTURY: THE JUSTIFICATION FOR RADICAL CHANGES. If you have not read this document, get to work (at least the Cliff Notes version: Revolution in Swimming: Ultra-short Training at Race-pace), as this paper will challenge your thoughts and beliefs. This article serves to challenge your current belief on training. Whether you adopt this training philosophy, or simply use it to understand different training philosophies, it is essential to read. 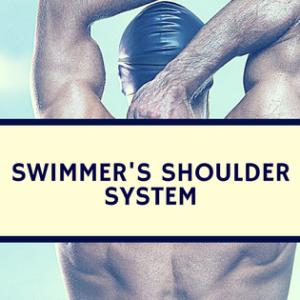 On Swimming Science, we attempt to bridge the gap between science and coaches. Ideally, this will improve the transparency in the sport, resulting in vast improvement. This is the goal of the Swimming Science Research Review, where our team reviews a plethora of articles, to teach, challenge, and confirm swimming training philosophies. Dr. Rushall’s paper argues his case for a radical change in the sport. Unfortunately, this paper hardly discusses the basics of motor learning, this paper will hopefully clear some confusion and build on a few topics Dr. Rushall discussed. Motor learning is a young topic in science. I first learned about this form of learning while working with patients recovering from a stroke. It was essential to re-establish specific motor programs in this pathological population. Therefore, we used the best practices in motor learning, restoring their activities of daily living. Motor program: a set of prestructured muscle commands that, when initiated, results in the production of a coordinated movement sequence (learned task); can be carried out largely uninfluenced by peripheral feedback. Motor plan: an overall strategy for movement; an action sequence requiring the coordination of a number of motor programs. feedback updates control centers about the correctness of movement while it progresses; shapes the ongoing movement. Feedback allows motor responses to be adapted to the demands of the environment. Behavior is organized to achieve a goal-directed task. Active problem solving/processing is required for the development of a motor program/motor plan, motor learning; improves retention skills. Adaptive to specific environment demands (regulatory conditions). Closed environment: fixed, nonchanging. Open environment: variable, changing. Central nervous system recovery/reorganization is dependent upon experience. Motor learning: a change in the capability of a person to perform a skill the result of practice or experience. performance: determine the overall quality of performance level of automaticity, level of effort, the speed of decision making. Retention: the ability to demonstrate the skill after a period of not practice. Intrinsic feedback: sensory information normally acquired during performance of a task. Augmented feedback: externally presented feedback that is aided to that normally acquired during task performance (verbal cuing). knowledge of results (KR): augmented feedback about the outcome of a movement. Feedback schedules: feedback given after every trial; feedback summed (after the set number of trials), fading (decreasing), or bandwidth (if responses outside a designated range). Blocked practice: the practice of a single motor skill repeatedly; repetitive practice. Variable practice: the practice of varied motor skills in which the performer is required to make rapid modifications of the skill in order to match the demand of the task. Random practice: the practice of a group or class of motor skills in random order (no predictable order). Serial practice: the practice of a group or class of motor skills in serial or predictable order. Massed practice: relatively continuous practice in which the amount of rest time is small (rest time is less than the practice time). Distributed practice: practice in which the rest time is relatively large (practice time is less than rest time). Mental practice: the cognitive rehearsal of a motor skill without overt physical performance. Transfer: the effects of having the previous practice of a skill or skills upon the learning of a new skill or upon performance in a new context; transfer may be either positive (assisting learning) or negative (hindering learning). Part-whole transfer: a learning technique in which a complex motor task is broken down into its component or subordinate parts for separate practice before the practice of the integrated whole. Bilateral transfer: improvement in movement skill performance with one limb results from the practice of similar movements with the opposite limb.